Can All Types Of Plumbers Fix Water Heaters? Did you just notice your water heater has a problem? Is it leaking water on the floor? Has it quick heating water? Is the water not getting hot enough, or are does it run out too quickly? These are just a few signs that it may be time to call a plumber to take a look at your hot water heater. Now, the question, do all plumbers work on hot water heaters? In most cases, the answer is yes. Most licensed residential plumbers will work on water heaters. Hopefully, you noticed our little disclaimer there. Industrial plumbers, plumbers who specialize in gas lines, and other specialty plumbers will probably avoid your hot water heater. You need to contact a residential plumber to have your hot water heater analyzed and repaired. What other symptoms should you be watching for on your hot water heater? If you notice your hot water is starting to be discolored or has an unusual scent, you should call a plumber right away. This means your hot water heater, or the attached pipes, have a corrosion issue which could make the water unsafe. If your water heater is getting noisy, you should have it checked out. Those noises can come from sediments breaking loose, or potential problems with the gas igniting properly during heating cycles. Will the plumber repair the water heater? There is no way to determine if a water heater should be repaired or replaced without careful inspection. Sometimes, the cost of repairing a water heater is so close to the cost of replacement that it is smarter to replace the unit. Remember, new water heaters are more fuel efficient, so paying just a little extra can often lead to increased savings over time. Minor hot water heater issues can be repaired cost effectively. This can include replacing a faulty control unit, a pilot light, burner, or other items. If the tank has developed a leak, it is better to replace the unit than attempt a repair. Why does my water heater produce less hot water now? Hot water heaters slowly fill with sediment, especially if they are not properly maintained. Most homeowners are not aware of the need to have their hot water heater flushed on an annual basis. Flushing the water heater can remove the sediments and extend the life of your unit. Your water heater instructions should include a step-by-step guide on flushing the tank, but you may wish to pay a plumber to do the job for you. They can do the job safely and help you avoid the risks of burns or soaking your floor in water. Is it safe to work on my hot water heater as a DIY project? Probably not. Many communities require a licensed plumber to work on hot water heaters, and for good reasons. You are working with water pipes, gas pipes, and electricity. All of these elements pose a threat during the repair and for the future. You do not want to take a change of having a gas or water leak in your home which threatens the safety of you, your family, and your home. Nearly all licensed residential plumbers work on hot water heaters, so if you are having problems with yours, give one a call today. Pipes are usually fitted below floors, in roofs, and behind walls. So if you have leaking pipes, you will not even notice until it is too late. After a while, leaks become unmanageable and will eventually damage attics, walls, concrete slabs, and your hardwood floors. The top plumbers in Santa Rosa identify the source of the leak by using the latest state of the art equipment to locate any hidden leaks accurately and quickly in any pipe network. Other services rendered include leak inspection, repair and maintenance, sewer or drain leaks and underground pipe fitting. If there is any pipe leak, these plumbers will know about it and save you thousands of dollars worth of bills and damage. Drains operate in the background unseen by anyone every day. They are a major component in promoting hygiene as they ensure disposable water leaves the premises and into the main sewer system unhindered. Blocked drains can really be a nuisance and very problematic if not taken care of which is why you need to seek out services from expert plumbers to unclog your drain. Some of the things they find in the drain include hair, wipes, sanitary products, fats and oils that if left to accumulate may cause a burst. Water flowing from a blocked drain usually has a pungent sewage smell that is really unsettling. So get in front of the problem and hire a top plumber to fix your drainage issue. The toilet is the most frequently used facility in any establishment and is essential in helping the body conduct its normal metabolic activities. Thus ensuring it is always in a working state is very important. For a toilet repair emergency, you need a service provider who will provide a timely response considering the role it plays on a daily basis. The top plumbers in Santa Rosa know how dire a toilet situation is, which is why such calls are prioritized and the necessary tools for repair and replacement always kept on standby. Some of the toilet problems addressed are leaking toilets, toilet refilling problems, blocked toilet, loose toilet handle, broken ballcock, toilet filling slowly and toilet not flushing. 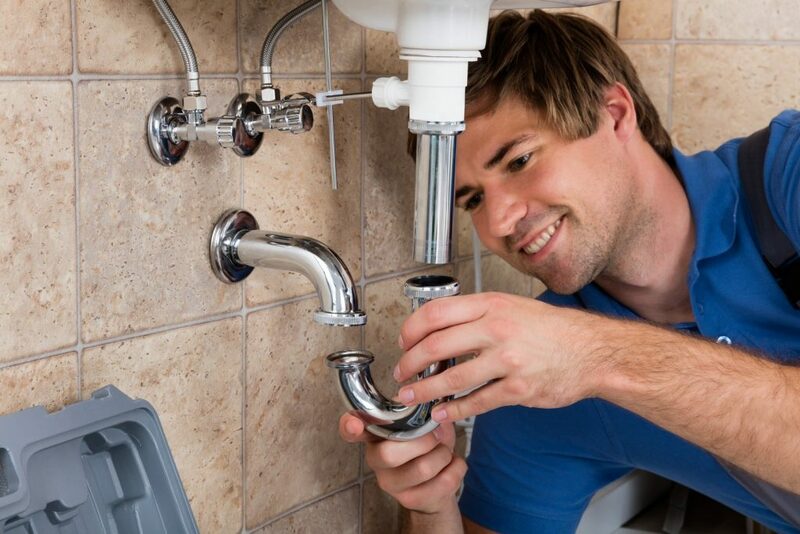 The good thing about hiring top plumbers in Santa Rosa is that they will provide a non–destructive option when conducting their services and will ensure there is minimal disruption. They are also very professional as they always clean–up after themselves leaving the place as clean as they found it. So if you experience any plumbing emergency, don’t hesitate to get in touch. You will have a plumber in your premises within no time to offer a permanent solution.